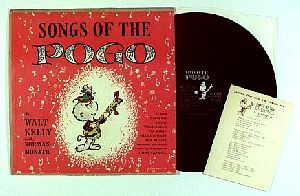 "Bank von Entenhausen - 100 Taler"
1956, first release, Simon and Schuster, New York, 18 songs written by Walt Kelly, with lyrics book, overall nice condition, rare! 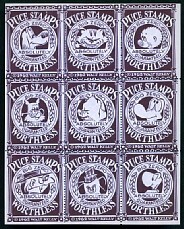 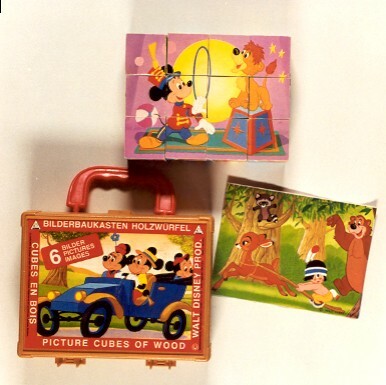 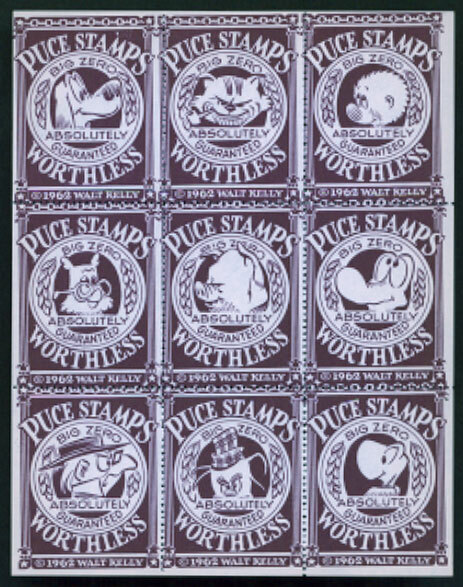 1963 (copyright 1962), This rare block shows stamps with nine different characters from Walt Kelly's Pogo Strip which were used only for a very short period of time as an inclosure to mailings to booksellers, reviewers and papers carrying the strip. 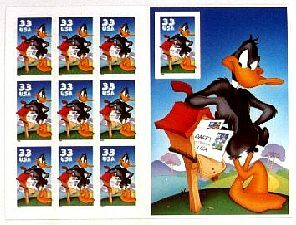 Being Kelly's comment on the S & H Green stamps and the Gold Strike Stamps they were never sold or otherwise distributed. 1999, official block of ten Daffy Duck-33 cents-stamps from the United States Postal Service in perfect condition.